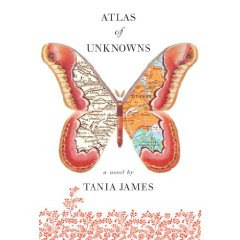 Although they tell you never to judge a book by its cover, in this particular instance, the cover of Atlas of Unknowns is one of the best examples of symbolism and theme that I've ever seen. The cover shows a picture of a butterfly with a map superimposed onto each wing - one of under-developed/rural India and one of Queens, NY. Anju and Linno are sisters living in Kerala, India with their poor father and grandmother. When Anju wins a scholarship to a prep school in America (by betraying her sister), Linno is the one who has to keep the remaining family together. There's a lot of other important secondary characters, but ultimately, the purpose of this book shows the rocky relationship between the sisters. Though they are completely different individuals and at different places in the world, they are still family.